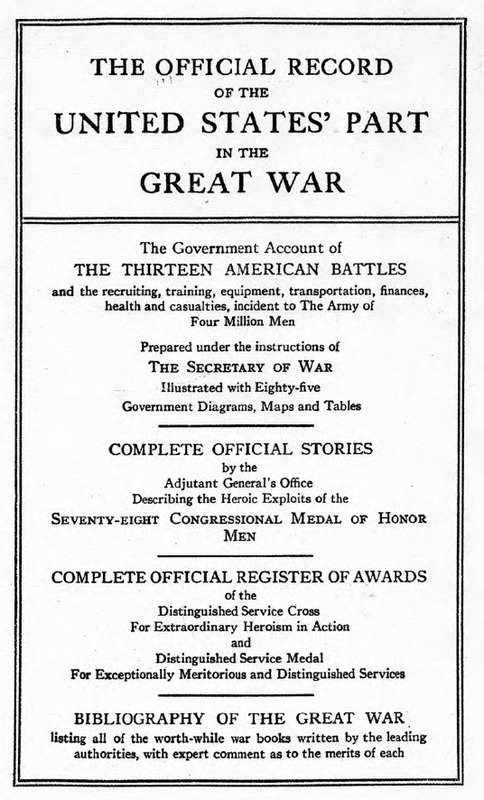 Official record of the United States' part in the great war the government account of the thirteen American battles and the recruiting, training, equipment, transportation, finances, health and casualties, incident to the army of four million men. 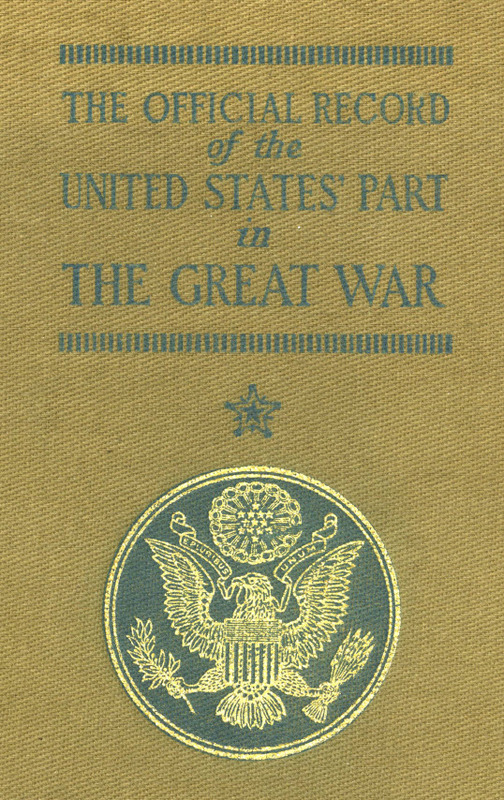 Description: The war with Germany, a statistical summary, by Leonard P. Ayres: p. 9-153.; "Complete official stories by the Adjutant general's office describing the heroic exploits of the seventy-eight congressional medal of honor men. Complete official register of awards of the distinguished service cross and distinguished service medal. "; Includes bibliographical references (p. 299-310). Click on either image below to download the 306-page 51 Megabyte file.